Iraq_Election_Martyr_Najaf_20: Election Day Martyr: Casualties of War: Global News Portfolio: New Orleans based Photojournalist covering the Deep South and beyond. 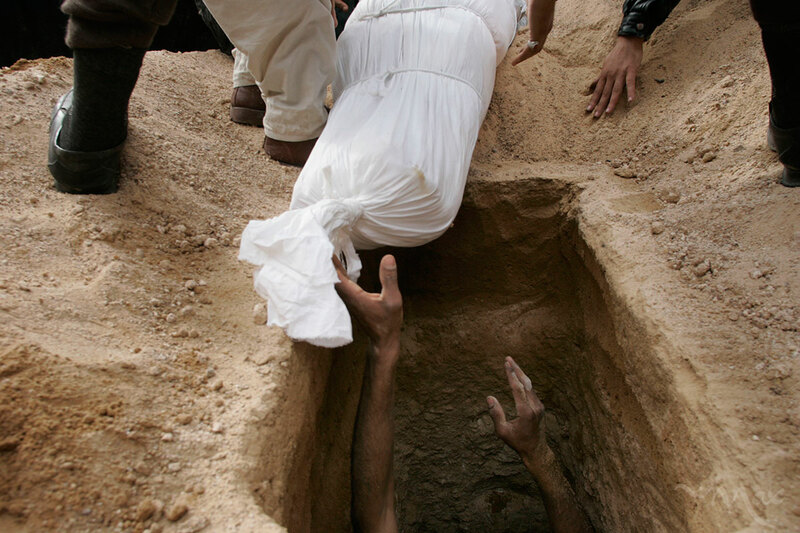 A gravedigger reaches for the body of, Naim Rahim Judi Yacoubi, 37, to lower him into his grave. While many Iraqis were joyous to have the opportunity to vote, others paid the ultimate price.